Description A Splitscreen One Button Game! 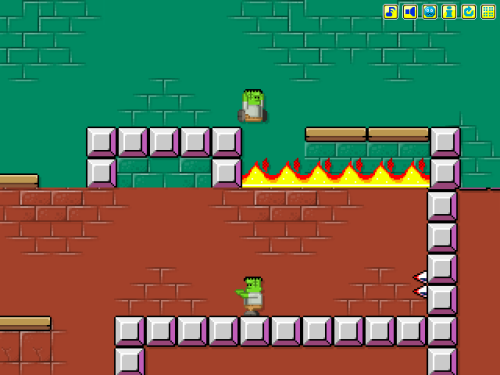 Help Frankenstein's monsters to reach the exits in this challenging multitasking skill game. Click into the screen to let the monster jump.